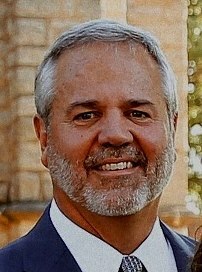 was elected to the office of superintendent of the Northeast Oklahoma District in June of 2006 with General Superintendent Jerry D. Porter presiding. At the time of his election McKellips was serving as senior pastor of the Tulsa Central Church of the Nazarene where he had served for more than 12 years. McKellips was named Alumnus of the Year in 2003 by MidAmerica Nazarene University (MNU). He graduated from the school in 1977 with a Bachelor of Arts in religion and philosophy. He also served as student body president and was co-chair of the Nazarene Student Leadership Conference. He went on to earn his master of divinity degree from Nazarene Theological Seminary in 1981 and his doctor of ministry degree from Fuller Theological Seminary in Pasadena, California, in 2000. In his ministry career, the Kansas native has pastored since 1981 in Nevada, Kansas and Oklahoma. Dave is married to Gloria (Robison); they met while attending MNU. God has blessed Dave and Gloria with two daughters and a son. Keri, a 2002 graduate of SNU, now married to Dr. Damien Mitchell, mother of Elliana and Everly. Lindsey, a 2006 graduate of SNU, now married to Rev. Scott Dermer, mother of Millie, Eli and Bennett. David, a 2011 graduate of OSU, an MBA in 2016, now married to Elaine and they have a chocolate lab puppy named Lincoln. Dave loves sports of all kinds, both participating and watching. He is an avid KC Royals and Chiefs Fan as well as a diehard KU fan. In addition, OU, OSU, TU and the OKC Thunder are family favorites as an Oklahoma resident since 1988. Dave also enjoys playing tennis and golf.